Jerusalem streets are quiet as homes are preparing for holiday meals. 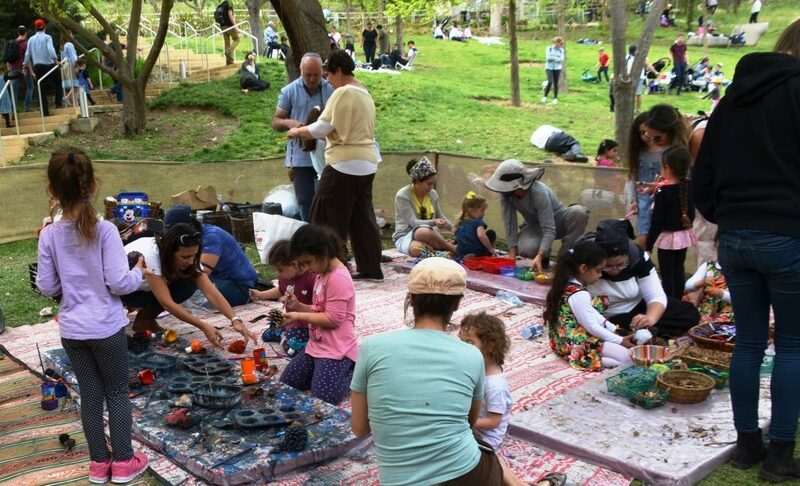 Spring holidays coincide this year, Ridvan Festival, Lailat al Bara’ah, Easter and Pesach. 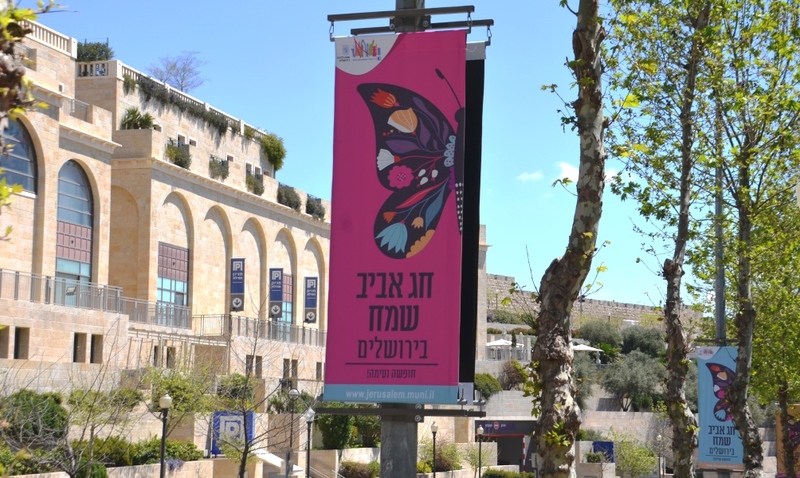 The Passover holiday in Jerusalem, Israel, is always a busy time with so much to do. After days of cleaning and shopping, and a late night seder, what next? 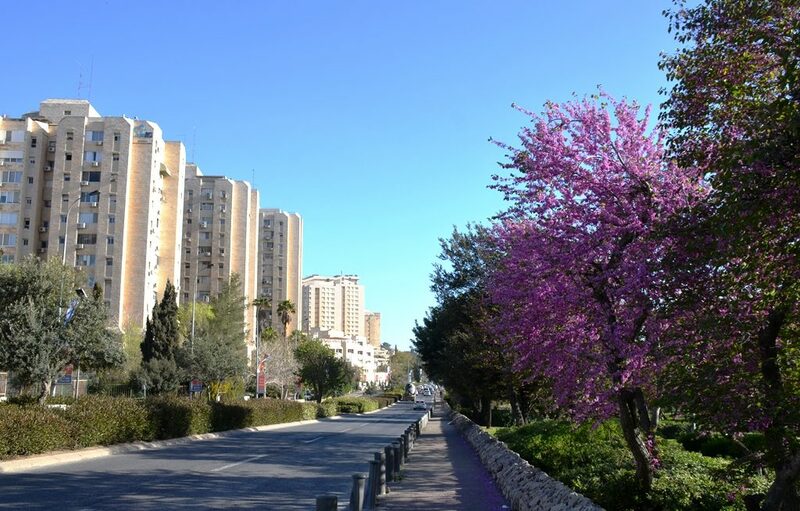 This year I decided not to spend hours in the car along with millions of other Israelis going to lush camping sights and sandy beaches, but rather to stay home and explore what Jerusalem has to offer. 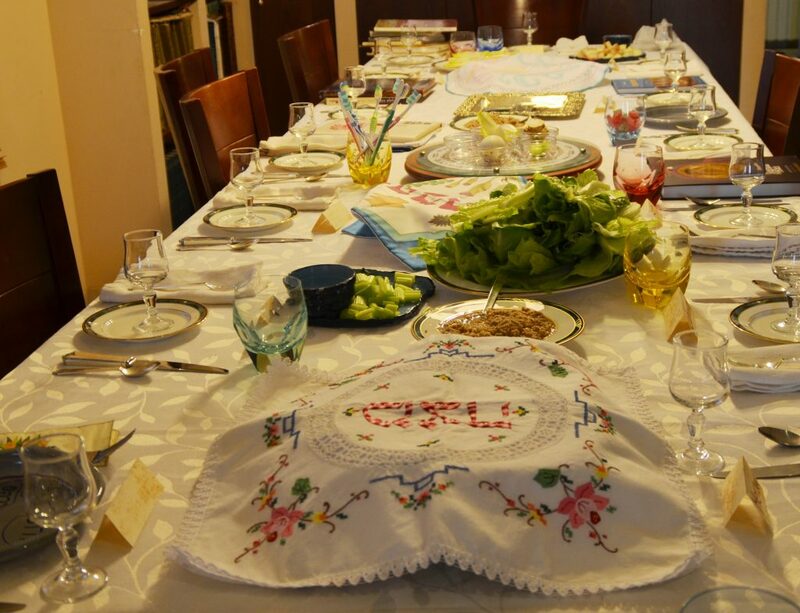 Now to share with you some of the best of Jerusalem for Passover this year 5778. Where else to start, but with food. 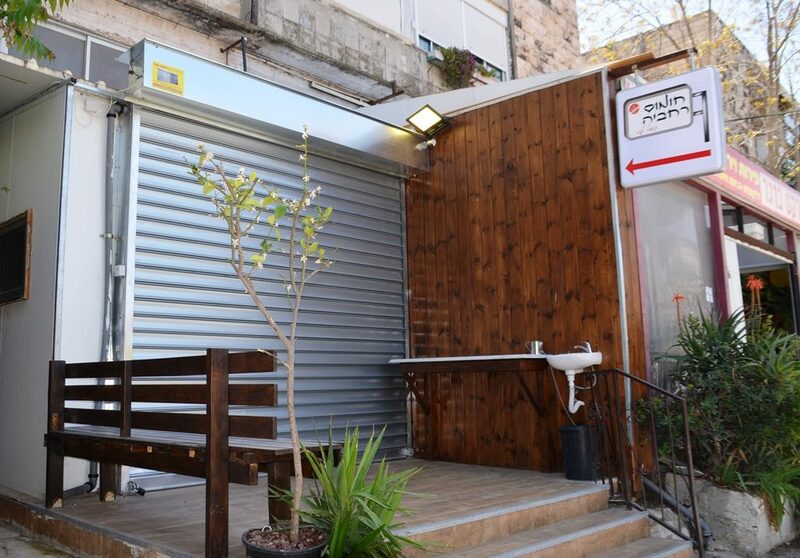 Some restaurants like this new humus place were closed tight for Passover. With baskets of matza on the table, this potato crust pizza looked good enough to eat. 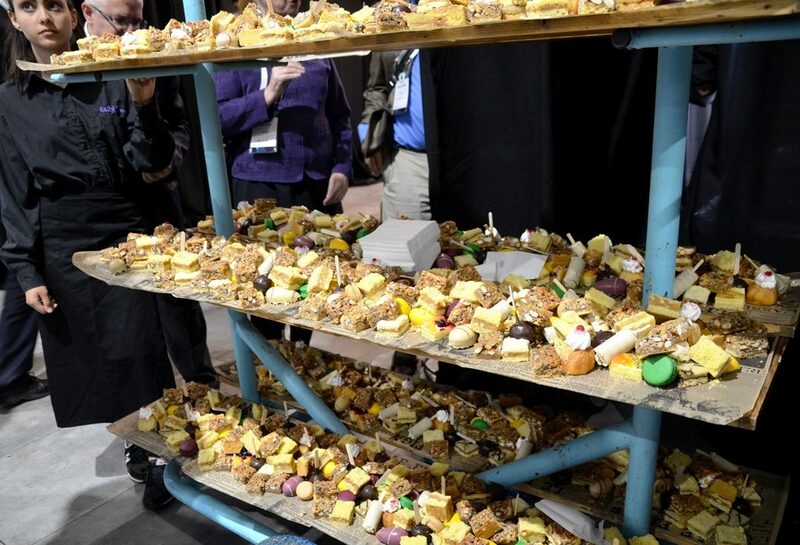 People were standing in lines for seats to taste for themselves. 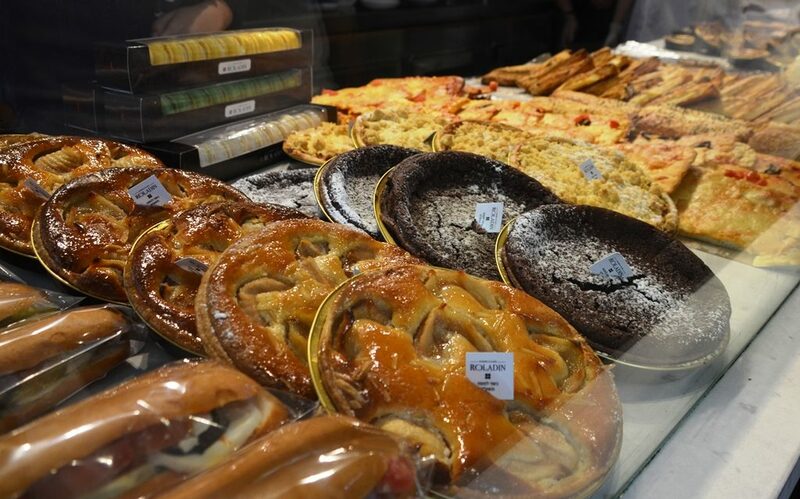 Pizza, rolls, sandwiches, pies, cakes and more…one of the best places for Passover food is in Jerusalem, Israel. 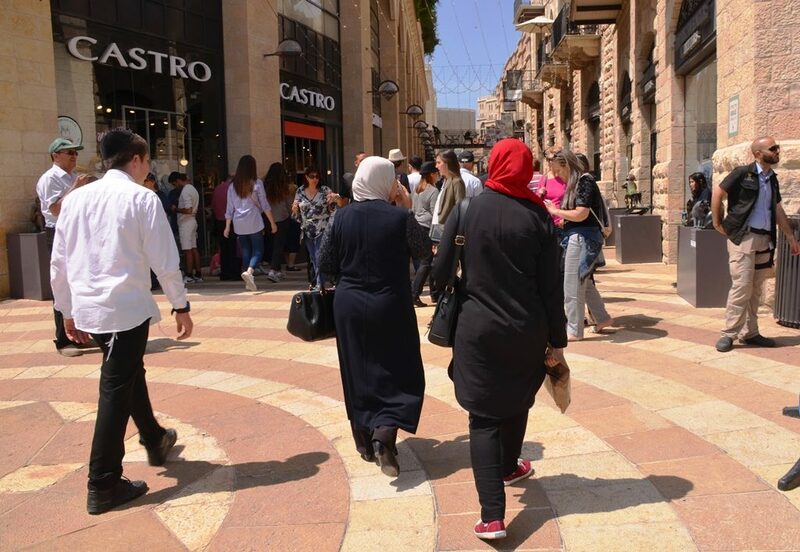 Mamilla Mall was busy and crowded with local shoppers and international tourists, plus entertainment and performances for children. Another favorite was seeing the clothing in the Old City, with many dressed in their holiday finest, wearing every type of outfit imaginable. With so many activities for families, it was hard to decide what to do first, as dozens of museums and sites were free for children. 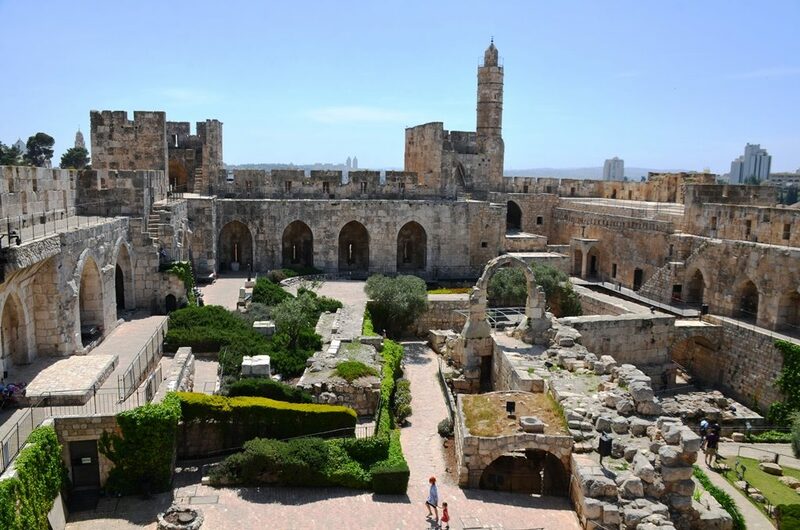 The Tower of David had families walking, touring, and climbing. From the Tower of David you could see the Old City ramparts walk with tourists going along the top of the walls of the Old City. Days were warm and the sun beat down midday. 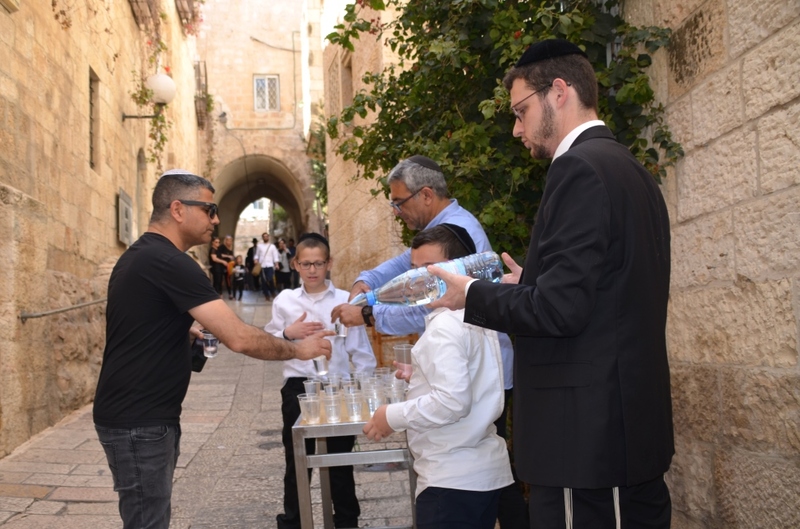 But volunteers were in several locations in Old City offering cups of water, free to all who walked by. 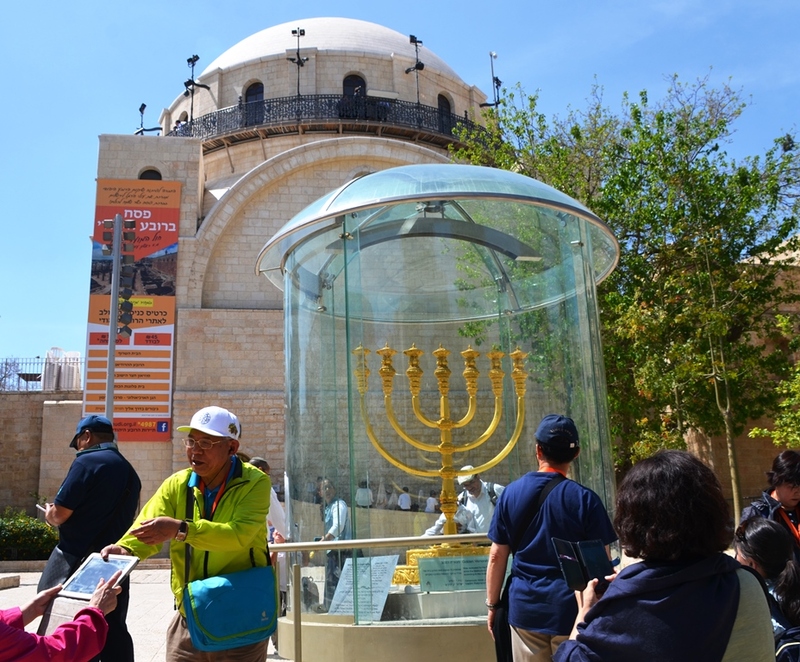 The Golden Menorah was moved near the Hurva Synagogue, where tourists were busy taking photos. 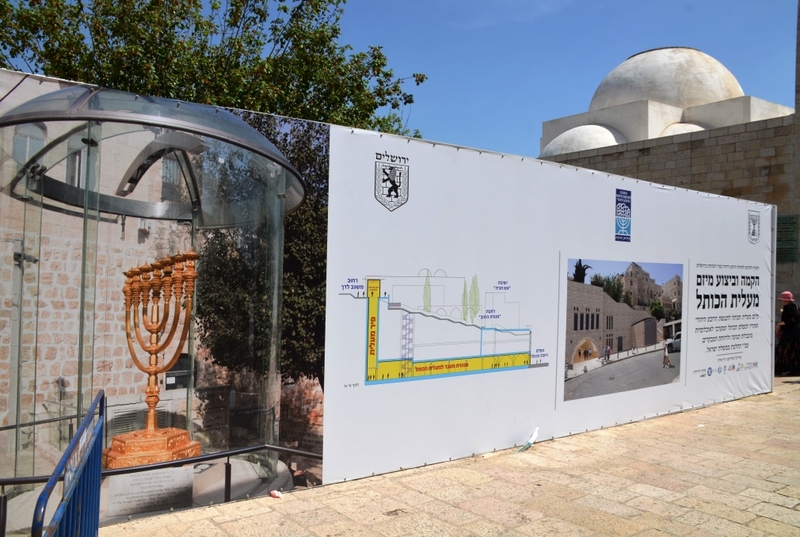 This menorah is a photo posted near where the gold one was located. 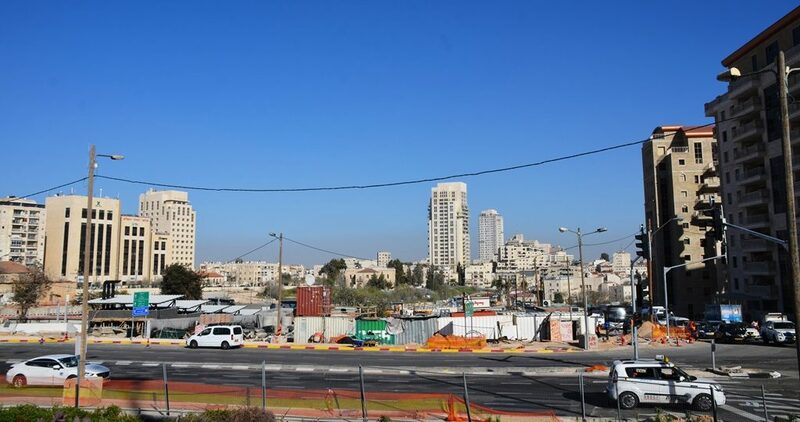 The Western Wall elevator is to be constructed here. Remember I said every type of clothing imaginable? How about a Betar uniform from the 1920’s? 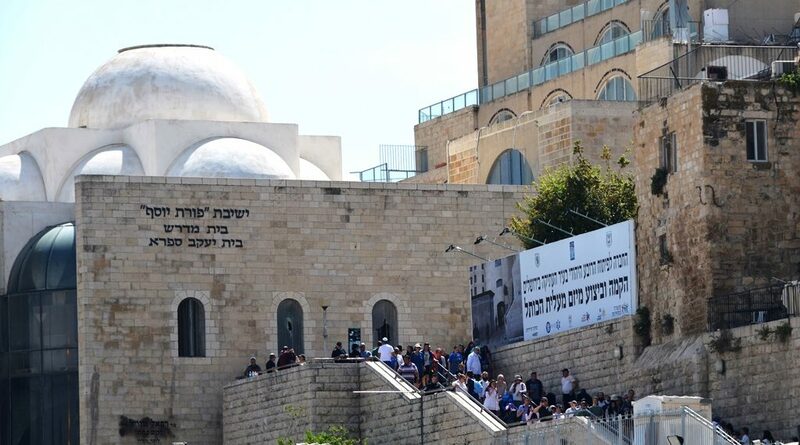 It was reported 100,000 people were at Birkat Kohanim, the Priestly Blessing, Monday morning. 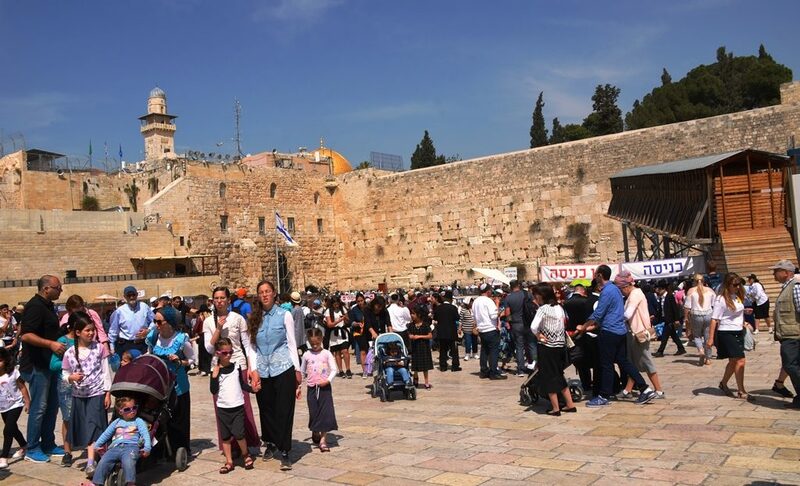 In the afternoon and for most of the week, the Western Wall Plaza was still filled with families. All day long tens of thousands of people came and went from the Old City. 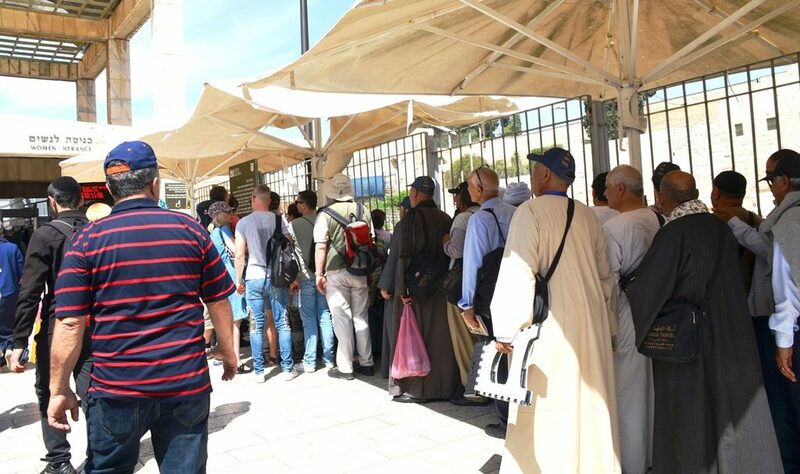 This line was not at the security entrance leading to the women’s section, but just a long line of tourists waiting to access the Temple Mount. The egalitarian section, however, was almost empty. 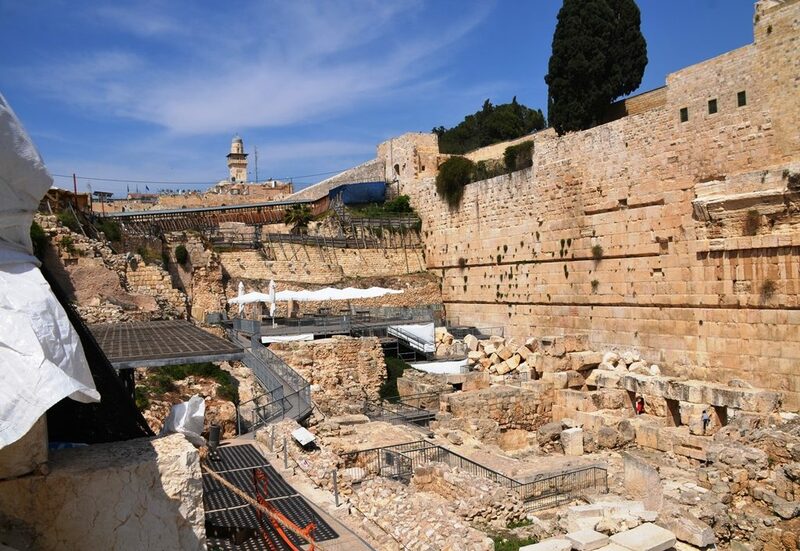 On the right of this photo, if you look very closely, you can see children playing near the stones from the Second Temple. 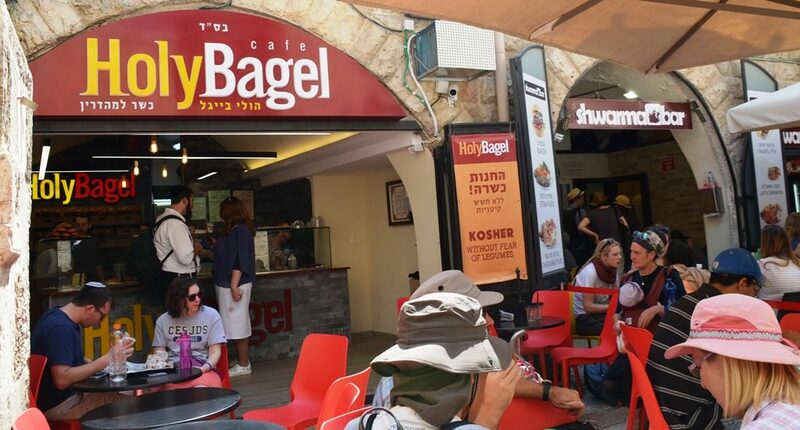 While so many were in the Old City, other Jerusalem locations were also holiday destinations. 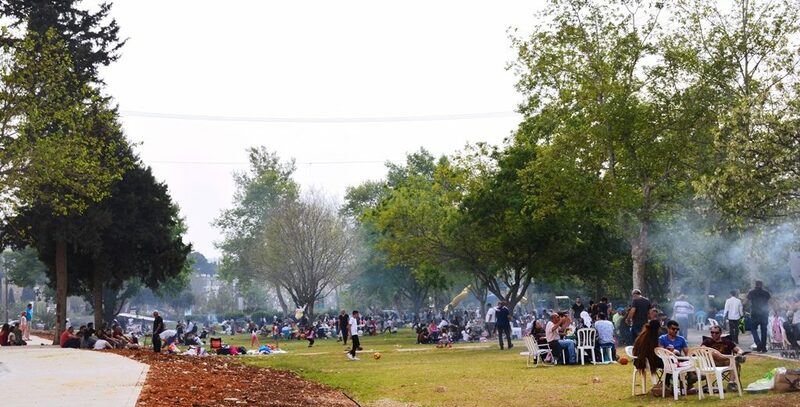 In Gan Sacher, Sacher Park, smoke filled the air with dozens of extended families grilling meat for large meals, with boxes of matza on the tables. Children were playing as family members and friends were sitting and talking or playing sports. 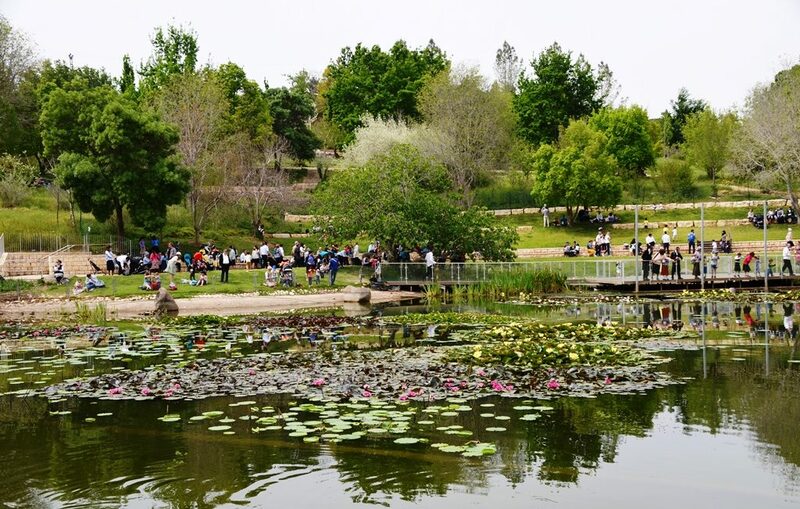 Another extremely popular destination was the Jerusalem Botanical Gardens. 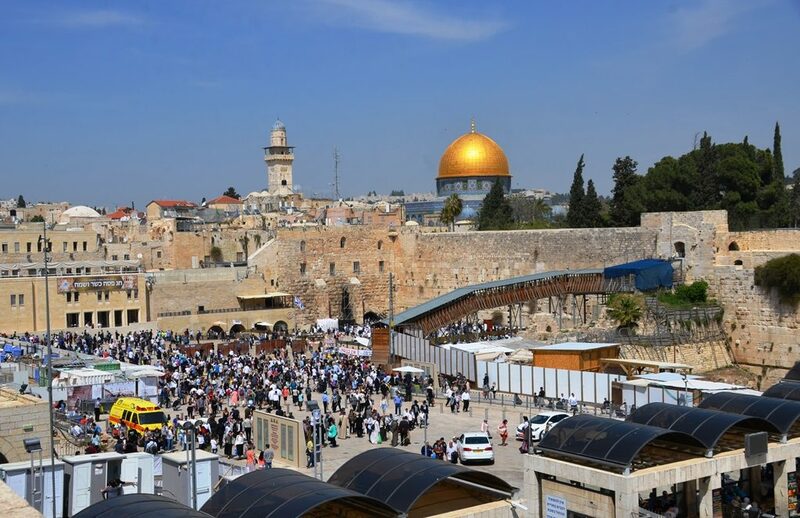 Thousands of people wandered the grounds over Passover. 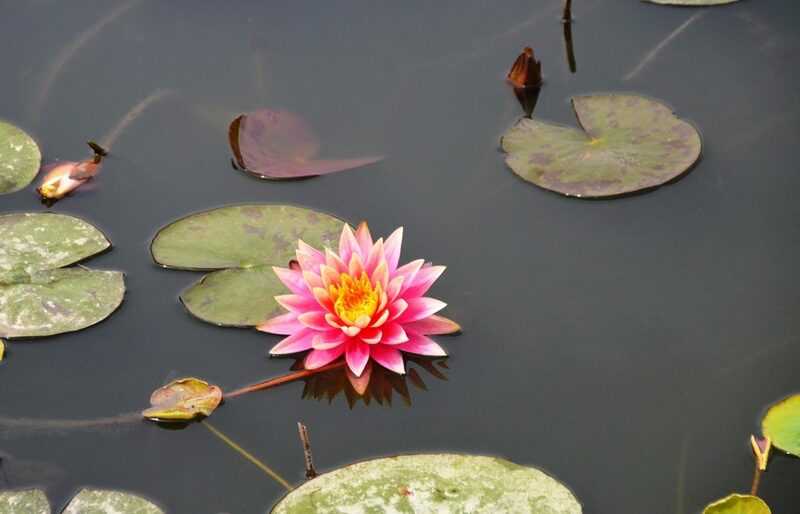 I was fascinated by these flowers in the pond. There is so much beauty in what was formerly a garbage dump. as well as colorful flowers to capture their attention. 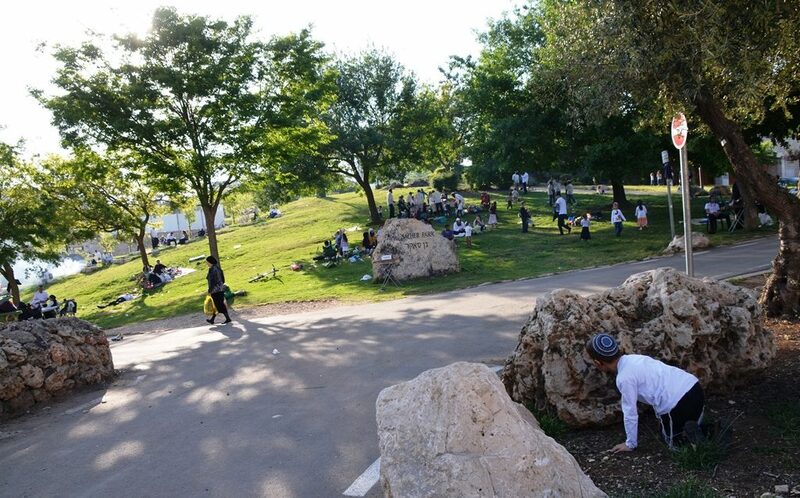 Nayot Park was one of dozens of Jerusalem parks where grills were going, smoke was rising, and matza was on the table. Driving in many locations took much longer than usual. Finding parking was not always easy. A free parking spot in a good location was worth saving. There were varied musical events at night, too numerous to list. Old places like Hansen House were full of activity. 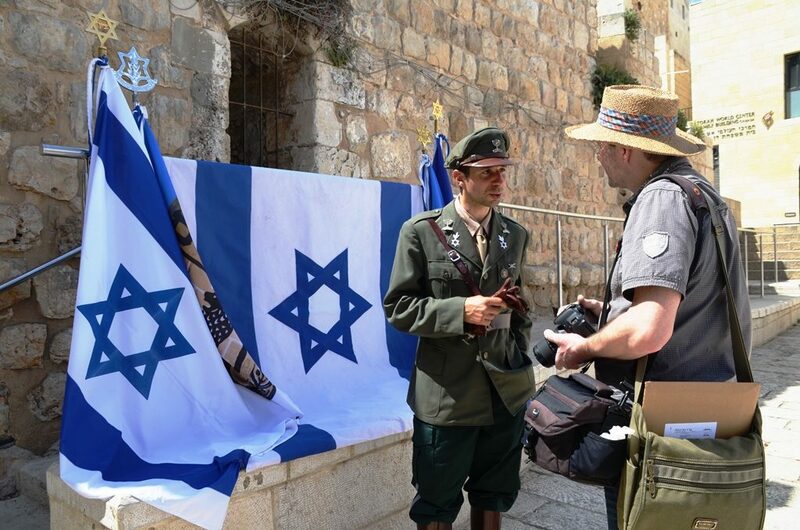 So much was happening in Jerusalem this Passover week. 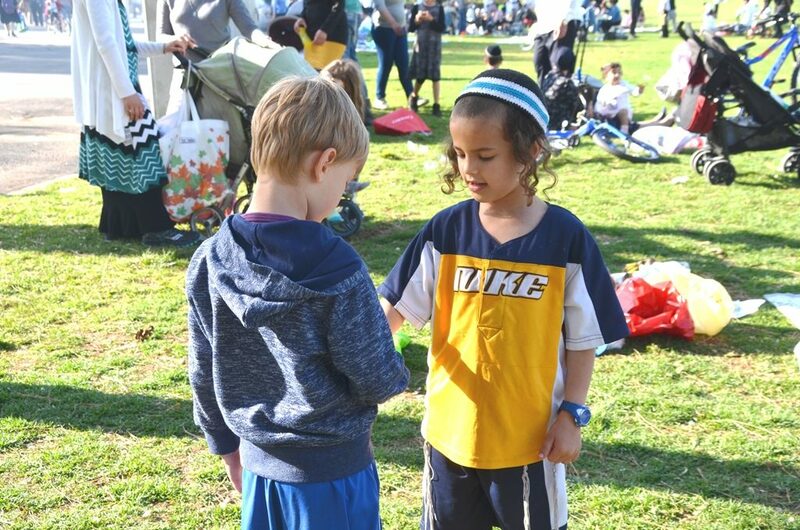 and one of my favorite photos, of these young cousins getting to know each other at a Gan Sacher picnic. Antisemitism is not a thing of the past. 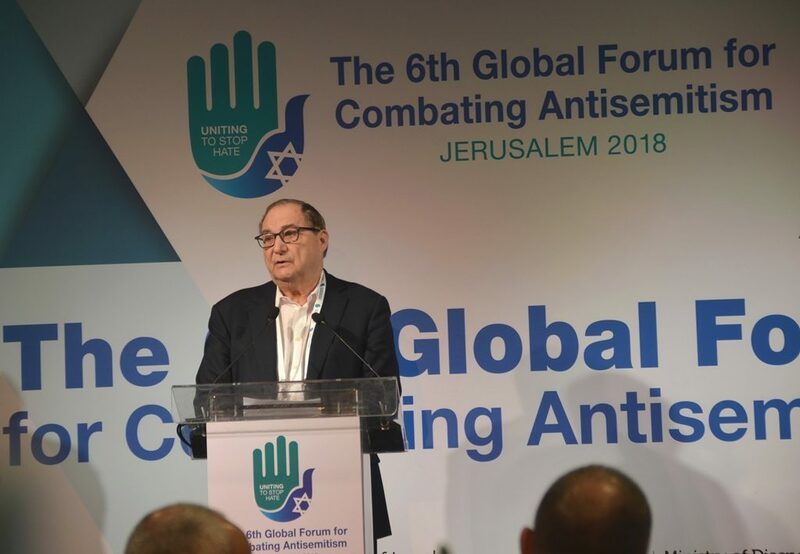 The Ministry of Foreign Affairs and Diaspora Affairs hosted The 6th Global Forum for Combating Antisemitism in Jerusalem, Israel, from March 19-21. 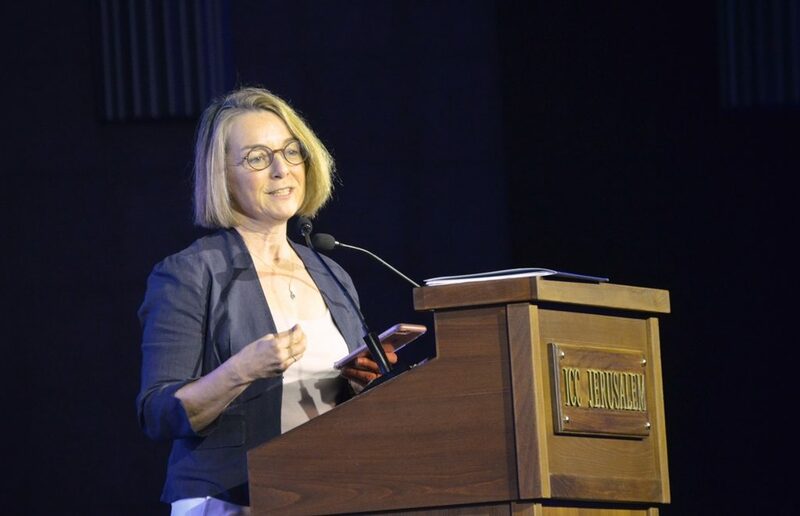 Together we can fight online hate speech was the opening plenary of the first day. The night before a large gathering listened to US Ambassador David Friedman. People came from around the world, with 87 countries represented. This friend as you might guess came from Australia, but I also met a man from Trinidad, and several people from South African countries. 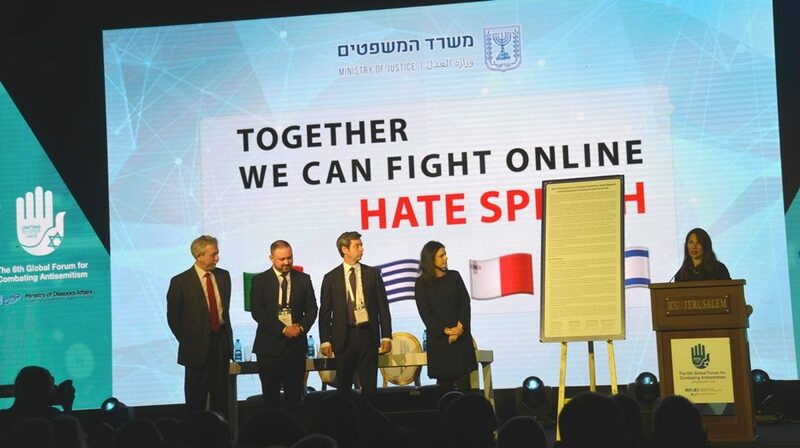 Ministers of Justice from Germany, Greece, and Italy joined Israel Minister of Justice Ayelet Shaked in signing a joint statement confronting online hate. Delphine Reyre, Facebook regional director of policy in southern Europe, told of Facebook efforts to curb terror sites. This week it was reported that Facebook closed down a Hamas page. However, Twitter has not closed even one hate site. 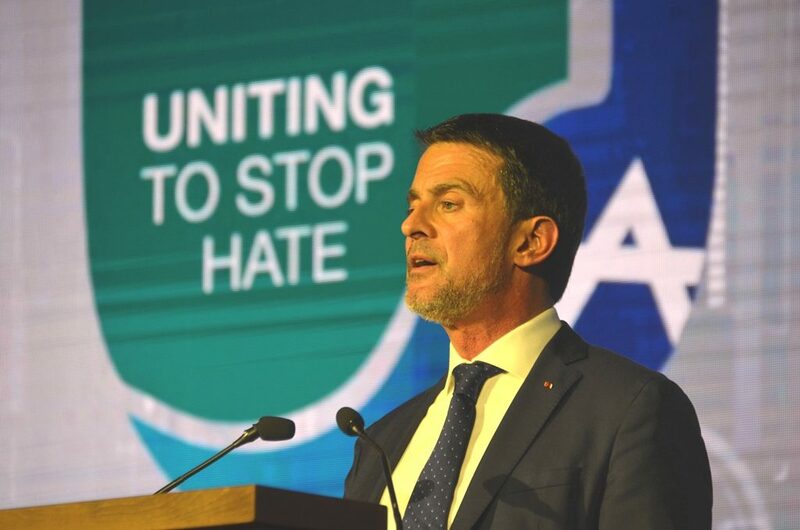 Near the end of the Global Forum, the former Prime Minister of France, Manuel Valls, speaking in French, received applause for stating anti-Zionism is antisemitism. 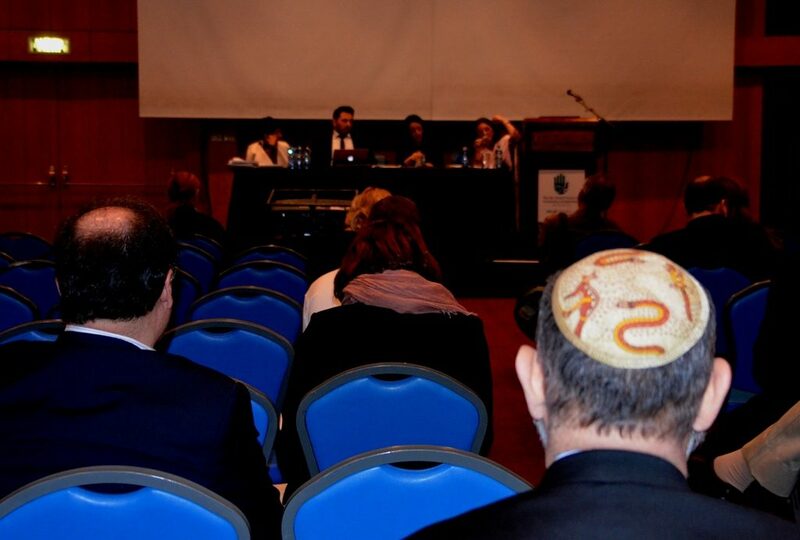 The Israeli Foreign Ministry spent plenty of shekels on this event. 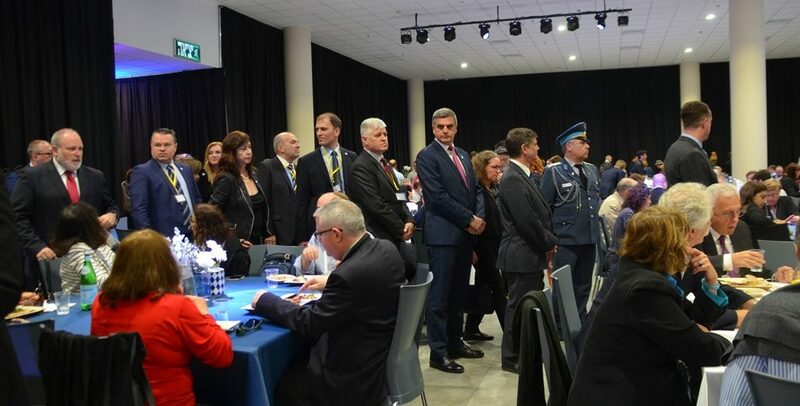 Here the delegation with the President of Bulgaria arrived and waited politely to be seated at lunch. Abe Foxman was given the honor of introducing Bulgarian President Rumen Radev. Radev remarks were in English. Not only is his English excellent, he showed amazing patience while being stopped for selfies during his visit. 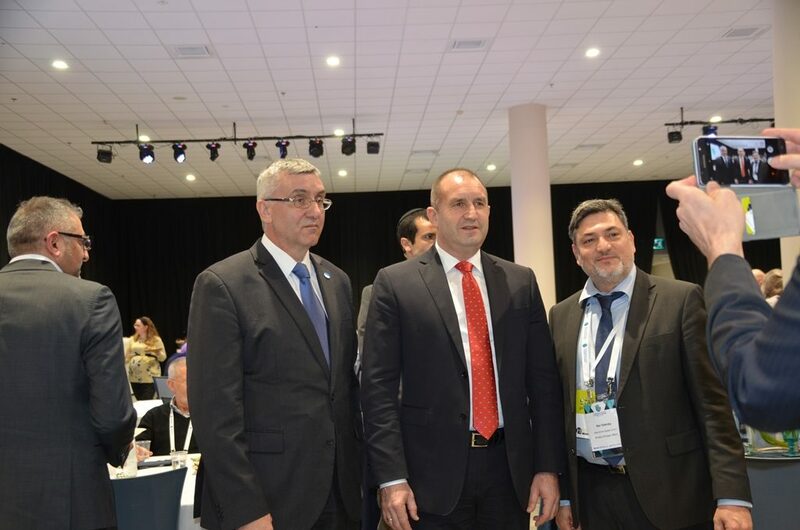 Here Radev (center) posed with the Bulgarian Ambassador to Israel on the left and Ran Yaakoby, Chairman of the Global Forum (right) of MFA. But will it make a global difference to curb antisemitism? Celebrity guests like Mayim Bialik got media coverage. Anti-Zionism, manifested in Israel Apartheid Week, has spread to India for the first time this year. Meanwhile, for most locals what was happening to the streets was of more immediate concern. Outside the International Convention Center where the Global Forum was held the streets change daily due to construction. This road expansion was open after weeks, or months, of work. I had to wait to cross until this small earth mover moved out of my way. 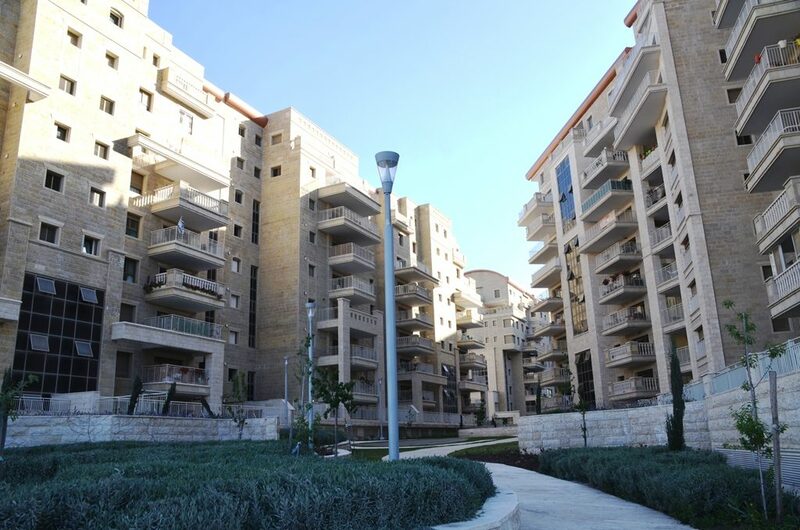 This is one of the new neighborhoods near those streets reaching completion. 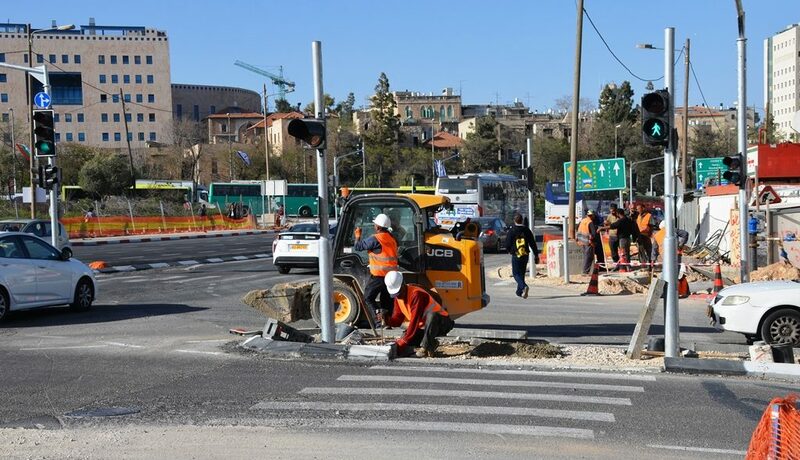 The fast train from Jerusalem to Tel Aviv will not open this month. 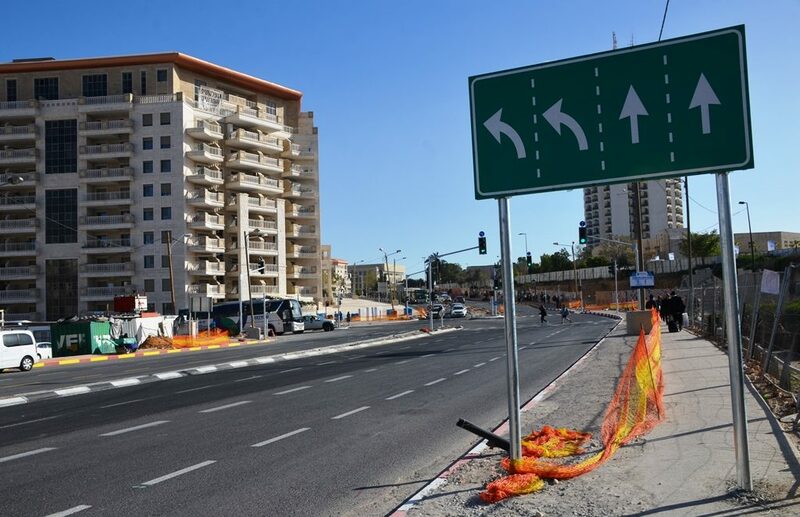 But when it does, those apartment dwellers are near the fast train station, and can be in Tel Aviv in half an hour. 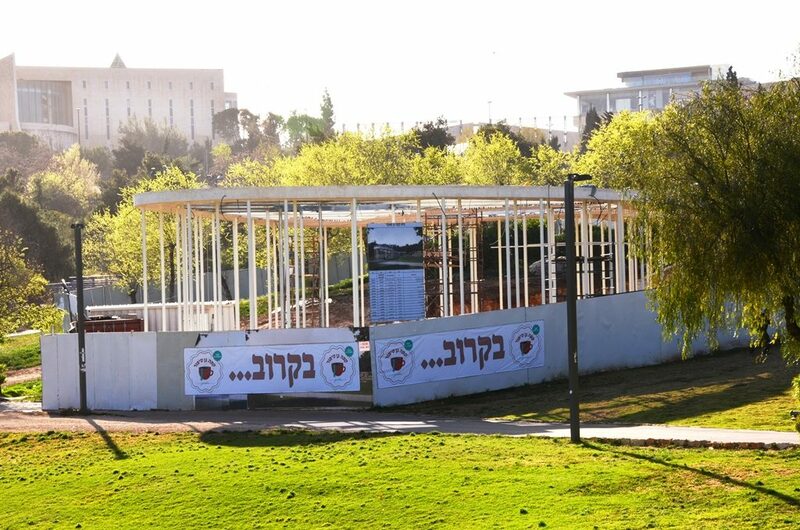 Whatever they are doing in Gan Sacher, Sacher Park, is to be completed soon. Meanwhile, as I walked along Gan Sacher on my way home from the Global Forum, I saw something which all can appreciate now. With spring weather and trees in bloom, we can appreciate what we have today and hope for a better future. Spring is in the air. 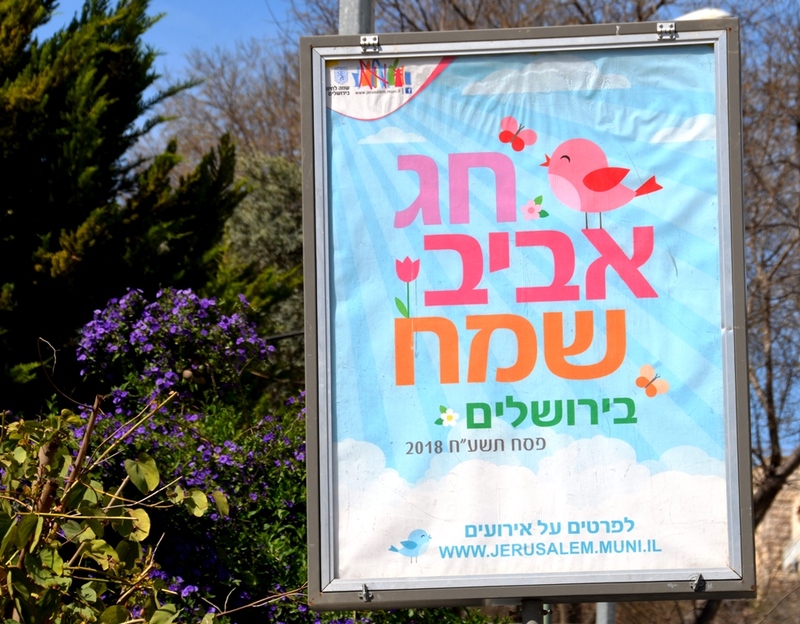 This year all Easter celebrations coincide with Passover, so tens of thousands of visitors are arriving daily. 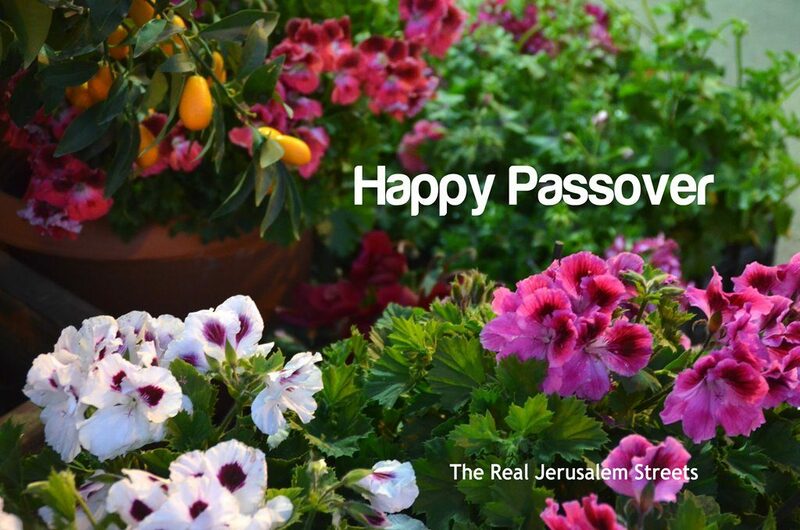 Happy Holiday of Spring in Jerusalem.